The Millionaires of The Future Have Already Adopted This New Disruptive Technology For Wealth Building! "It will not be too long before this gains ground in the institutional space as well, and quickly at that, and prove to be a disruptive force to the asset management industry"
Let’s start with a question that has been around for some years now. Is Technology a BOON or a BANE? Do you have the answer for this? Honestly, the answer varies, person to person. For the one who knows how to use technology to his benefit, it is an absolute boon. Having said that, what if we tell you we have come across a way to use technology to make some solid returns? Doesn’t sound believable… We understand! The world usually looks at things skeptically, until someone gets rich and proves that the world lost on a golden opportunity. Do you want to be the one to gain out of a disruptive technology or the one to regret later? We are sure you don’t want anything to do with regret! The ultimate combination of Superior Research and Technology that will change the way you invest! Without a doubt, the MOST experienced of all. It comes with a very special ‘advantage’ that we are going to reveal to you if you continue reading. But before that, let’s first accept the fact. Robo Advisers are indeed a gift to mankind.
" Automated investment recommendations supported by easy, online investing process." No need of hiring investment advisers at hefty fees. No need of going through extensive paper work. No need of unnecessary complication for new investors. The sweet promise that they bring to the investors is just too much. Naturally, Robo Advisory platforms started becoming luring for investors. In fact, so much as to lead to a craze today. Starting from small companies ‘you haven’t probably heard of’ to big names in the financial industry, everyone is bringing their own Robo advisory platforms to you. Most of these Robo Advisers are rather "new” to the field of mutual fund investing. That’s the biggest drawback of all. In fact, most of them are mere start-ups and don’t come with a solid financial market experience, which we consider as a huge setback when it comes to you. No doubt, we appreciate the entrepreneurship spirit but it’s about your life’s savings and we think it’s better to be a bit cautious about it. Moreover, since these Robo Advisers don’t come with a solid financial background, they try to make up for it with smart real-time technology. But is it worth it? Probably not. They are supposed to be smart, right? Well, the problem is that they look at present quantitative data in most cases. But numbers cannot tell the whole story. To know the whole story, one needs to read beyond the numbers. One needs to study the qualitative traits of a mutual fund scheme in depth to put a score on its financial viability. Unfortunately, most of these Robo Advisers are not built to do so. Let’s face the simple fact. To make the right choice of mutual funds, you need a mechanism that checks for both quantitative as well as qualitative aspects. The only way to do this is to have a well-experienced research team. A team that works almost every single day to find out the reliable, stable-return opportunities for you. A team just like PersonalFN’s. Unfortunately, an infant start-up might not be able to do that for you. Remember, we are not pulling facts out of the air. We are speaking from first-hand experience. We, at PersonalFN, decided to take the matter into our own hands. So we have come up with an online Robo Advisory platform that is backed by in-depth research results of our popular service, FundSelect, and that listens to your specific financial objectives as well — one that is built on Trust, Reliability and Good Faith. We are finally here with a Robo Adviser that presents with a unique online portal where you can carry on your investment endeavours in the most optimal way possible. Frankly speaking, we weren’t focusing on aesthetics. We were focusing more on functionality and ease of use. We believe that a Robo Adviser is not supposed to be gorgeous. However, it is expected to do the job it is intended to do. A Robo Adviser’s job is to make technology work for an investor. Backed by our massive experience of well over 15 years in the financial market, we have come up with an exclusive virtual financial adviser , uniquely built in such way that it knows the market and above all, it knows YOU. What about returns? Because that what matters, right? The Robo adviser is backed by a solid research process that goes into our popular research service ‘FundSelect’—widely recommended in the investing arena for its inherent honest and unbiased approach towards financial industry. We pride ourselves so on the viability and accuracy of our research because we have reasons to do so. Our impeccable track record is well reflected in the graph below. Let us assume that you had invested Rs 1 million in our recommendations since June 2003. While the S&P BSE 200 index would have returned Rs 10.09 million, our chosen funds would have returned a whopping Rs 16.83 million - an outperformance by around 74%! In other words, you could have earned around Rs 6.7 million more on your investment of Rs 1 million. Our research has a success rate of a whopping 74 percent! So, seven out of ten of our recommendations go on to making solid investment gains for the investors, by significantly beating the markets. PersonalFN Direct is the ultimate Robo Adviser that is built to be your virtual guide in your journey to financial freedom. There’s one more reason why PersonalFN Direct is different from the rest. What’s Special About PersonalFN Direct? Well, let’s start by asking a simple question. Do you know what ‘Plan’ of the mutual fund your chosen ‘Free-of-Cost’ Robo Adviser recommends? If you said no, we are not surprised much. 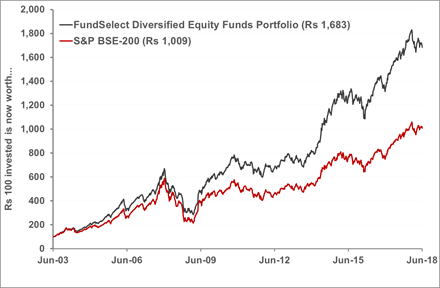 You see, most investors don’t care about which ‘Plan’ of the mutual fund they are investing in. The platform speaks of secure financial future or stable returns, and that’s enough for most investors. But by ignoring the plan you are investing in, you are making a HUGE mistake. Most Robo Advisers out there recommend ‘Regular Plans’. Any secret reason to do that? Of course yes, they earn high HIDDEN commissions from it, year after year. Invest in ‘Direct Plans’ of mutual funds. In fact, we at PersonalFN believe that if you have a choice, go Direct always. What’s the difference between Direct and Regular plans? They don’t come with any commission to advisers, brokers or alike. And thus they are obviously more desirable than the ‘Regular Plans’ if we come to think like investors. But your favourite Robo Adviser probably doesn’t care much about that. Most of its recommendations might be geared more to fetching that one percent commission rather than generating higher investment returns for you. Not something you would wish for, right? Even a simple 1 percent in commission fee adds up to a lot over time! If a 30-year-old investor were to put Rs 10 lakh in a 1% additional expense bearing ‘Regular Plan’ of a mutual fund scheme, which compounds at 8% a year, his/her investment would total to Rs 76 lakhs by the time he/she retires in 30 years. This graph is indicative and used for illustration purpose only. 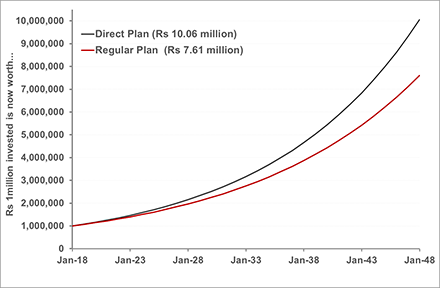 On the other hand, a similar investment in ‘Direct Plan’, would grow to over Rs 1 crore in the same period. So by investing in a ‘Regular Plan’, you are giving away one-quarter of your hard-earned savings to your adviser. You probably could have spent it on your child’s education, daughter’s marriage, or on your retirement. This is exactly where PersonalFN Direct stands out. In this exclusive Robo Adviser, we offer ready to invest portfolios containing “Direct Plans” of potentially the best mutual funds for your specific financial goals and objectives. Just fill up a simple questionnaire to understand your risk appetite and what you seek to achieve in the next 2, 5 or 10 years. And our Intelligent platform will provide you with an array of potentially the best mutual fund schemes to invest in. Reason #1 It offers DIRECT PLANS only. PersonalFN Direct, offers ‘Direct Plans’ of mutual fund schemes. That means no losing money that goes towards paying hefty commissions to the adviser. In fact at PersonalFN, we, believe in our independence and unbiasedness when it comes to financial advice and PersonalFN Direct follows the same philosophy. It is completely independent in its own way. We take out the complex documentation process that you need to bear every time you invest in a mutual fund. You can start investing in ‘Direct Plan’ of our recommended mutual funds directly from the platform with a few clicks! Unlike most fintech companies offering robo advisory platforms, we are NOT a start-up. PersonalFN was established in the year 1999. It was built on the basis of trust and respect, and focused on a single premise of ‘timely and actionable research advice for average investors’. And we are happy that we have succeeded in our mission of empowering investors over all these years, evidenced by over 1,50,000 followers all over the world. Reason #3 It comes at a pocket-friendly price. This is one of the biggest advantages of being a PersonalFN Direct subscriber. You will get access to a ready-made portfolio suitable for your financial requirements, backed by extensive financial research, at a fraction of the price available in the market. Our PersonalFN Direct subscription comes at a nominal fee of Rs 5,000 per year only (without any extra hidden cost). But only for a limited period, we are offering access to this exclusive platform at a special discounted fee of Rs 950 only, for full one year. That comes down to a whopping 80 percent discount! Now we are sure you understand that we will not be able to give this offer to many people. Hence, we can’t keep it open for long. This offer is limited only to readers who are signing up under the “Early Bird OFFER”. Registrations will close after 1000 Members or 31st of July, whichever is earlier. If you miss the opportunity now, you may have to pay FULL registration fees to get access to PersonalFN Direct, later. A platform that has just one single purpose: building wealth for investors. We simply focused on building an algorithm-oriented, research-backed functional application that will help you on your journey to Financial Freedom. Keeping it minimalistic and accessible was our topmost priority. We can tell you that even if you look around, you will find it hard to come across such a compelling wealth-creating offer. We don’t think you should wait any longer! Click Here To Subscribe to PersonalFN Direct Right Now. How Does PersonalFN Direct Work? We have tried to keep the whole process simple and tried to make it easier for you. Even if it is not, don’t worry. Our dedicated representatives will handhold you through the process. This is a one-time process, and you are done. As soon as you specify your financial goals and objectives on the platform, our well-researched recommendations will automatically start appearing on the screen. All that remains is for you to click and invest in the recommended portfolio. Everything is automated, and flows in a seamless and smooth manner. If you get stuck at any point, you are always welcome to get in touch with our representative. You will be guided in the most efficient and complete way possible. Here’s a great opportunity to take your financial journey on a whole new level. Embrace the new financial technology in your life and start investing in an efficient manner. PersonalFN Direct provides you with an exclusive opportunity to build a solid mutual fund portfolio by investing in ‘Direct Plans’. Don’t waste your hard-earned life’s savings on indirect, hidden commissions anymore. Instead invest wisely to accomplish your financial goals and investment objectives. Save it for your son’s educational expenses. Save it for your much-coveted foreign vacation. Save it for your daughter’s marriage. Save it for anything you like. It’s your life, and we believe technology exists to make it better. ...Because your subscription to PersonalFN Direct will be covered under our 60-Days –NO QUESTIONS ASKED - Full Money-Back policy. 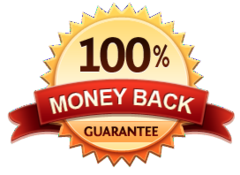 You can enjoy a 60-days trial with a full refund guarantee. Get complete access to the platform for full two months, and test its benefits for yourself. …Just let us know before the 61st day from your subscription and we'll refund the entire fee you paid. No quibble, No delays, NO QUESTIONS ASKED! PersonalFN Direct is an optimal choice to bring financial technology to make investing process more sensible and better. Click Here To Subscribe to ‘PersonalFN Direct’ Right Now. P. S. Looking for a real and automated Robo Adviser backed by over 15 years of financial research experience? PersonalFN Direct is the right choice for you. If you sign up today, you will pay mere Rs 5,000 950 for 1 year subscription fee. Don’t think twice! P. P. S. This is a special early bird discount offer. Your access to PersonalFN Direct will be activated immediately. P. P. P. S. Sign up for PersonalFN Direct today and you will have 60 full days to decide whether or not you want to pay for this invaluable platform. If not, let us know any time during that period, and you'll receive a full refund - no questions asked. That's a promise! P. P. P. P. S. If you have any query, you can always contact us at 022-61361200 or email us at info@personalfn.com. ** The performance data quoted above represents past performance and does not guarantee future results. Corp. Office: 16 Jolly Maker Chambers II, Nariman Point, Mumbai 400 021.